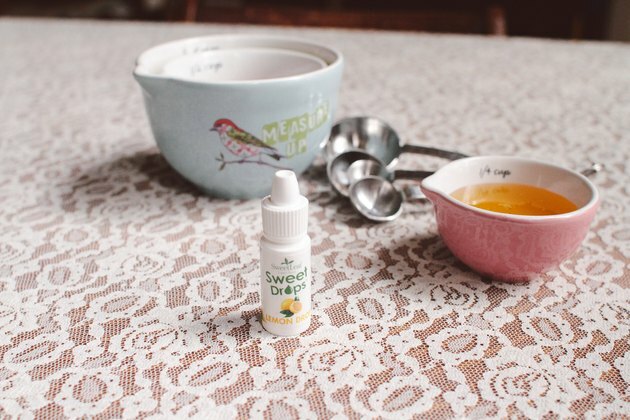 SweetLeaf brand liquid stevia is a natural sweetener made from the leaves of a South American plant. The extract has been used in South America for hundreds of years as a way to sweeten foods and beverages without adding calories or altering blood sugar levels. 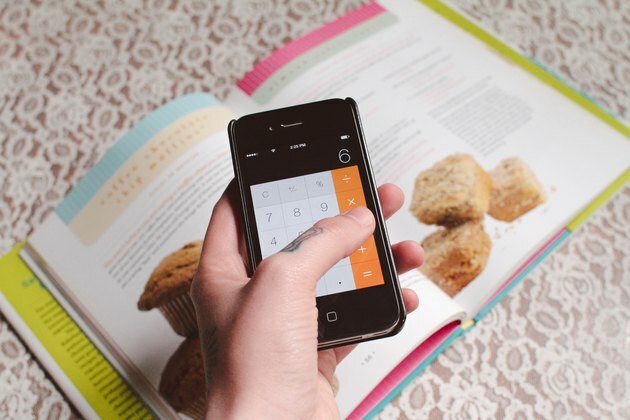 Stevia is 10 to 15 times sweeter than sugar and honey and must be used so sparingly in your baking that you'll need to tweak your other ingredients to preserve the consistency of your finished product. Substitute 1 teaspoon of Stevia Liquid Concentrate for 1/4 cup of honey in the recipe. Substitute 1/3 teaspoon SteviaClear Liquid for every 1/4 cup of honey in your recipe. A little liquid stevia goes a long way, so experiment with this ratio until you find a sweetness level you're happy with. Subtract the volume of liquid stevia you added from the amount of honey called for in the recipe to determine the missing liquid volume. For example, if you subtract 2 tablespoons of added Stevia Liquid Concentrate from the 1/2 cup of honey, or 8 tablespoons, the recipe calls for, you're left with 6 tablespoons of missing moistening agent. 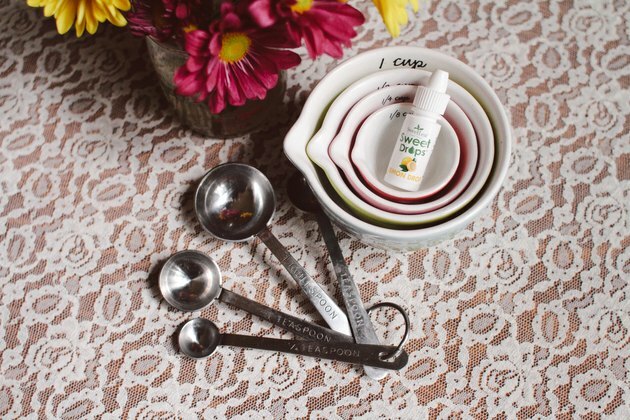 Add an alternative moistening agent to your recipe to account for the missing honey. Water will add moisture without altering the flavor or nutrition profile of the cake. 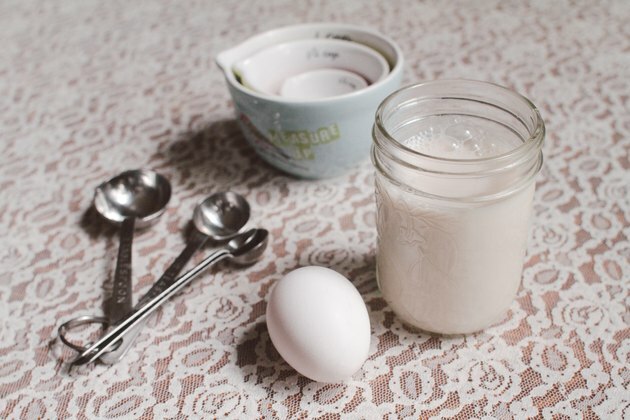 Add nutrition and moisture by adding milk or silken tofu, or make the finished product fluffier by substituting egg or egg white. Add additional sweetness and moisture with unsweetened apple sauce or pureed banana. Stevia does not brown or caramelize like sugar and honey, so if your recipe involves a caramelized or bruleed topping, you'll have to use a small amount of honey or sugar to accomplish the desired effect. 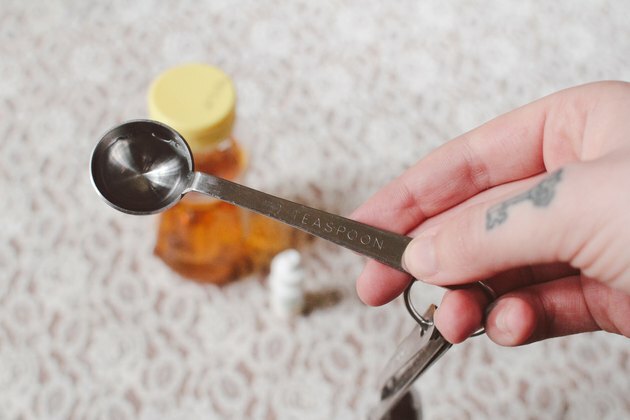 How Many Calories Are in a Tablespoon of Honey?